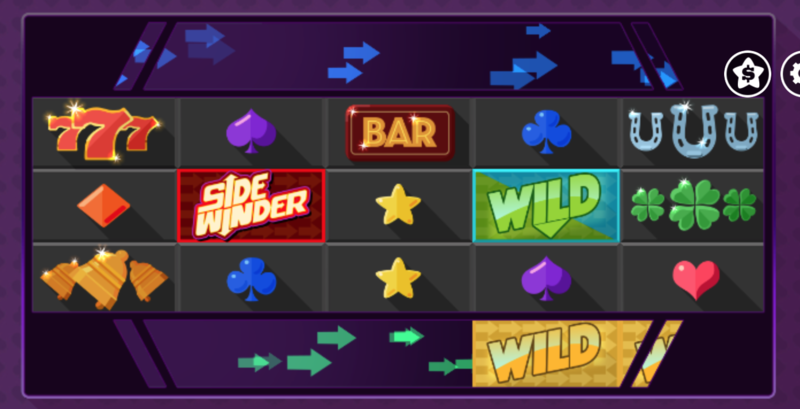 Sidewinder is an exciting game on easyslots.com, that is brought to the market by two developers: Just For The Win and Microgaming; forming a special relationship. You may recognise this from previous slots as well such as the colourful Rainbrew slots. This online slot game is diverse and can be played on various devices and platforms both online and offline. The game is fairly mid variance and accommodates the needs of many players from new starters to well experienced slot players. This is evident in being able to plat from as little as 10 pence up to 100 pounds per spin! There are various free spin features which are triggered by wild symbols on the reels. Just for the Win is pretty fresh in the online gaming industry, their studio was first launched in 2016 and they have been developing games since. Most of these have been on the market since 2017. The Gothenburg (Sweden) based company aims to maintain an international focus with a mission to produce high quality online slot machines and games which will be appreciated by avid slot players. If you're a fan of casino promos, click the link to explore our selection. There are 243 ways to win on this game which is quite impressive despite its traditional feel when playing. Fitting with that traditional feel, symbols include bars, 4 leaf clovers, horseshoes, golden bells and of course that all almighty lucky 7. The lucky 7 is the highest paying symbol in this game and can reward up to 8 times your available stake if you get 5 lined up on the reels. The game is spread over three areas which does a good job of keeping you involved with the game at hand. There are three main wild symbols in this game: regular wild, top wild and bottom wild. The symbols do their usual job by replacing other symbols on the reels to increase the chances of hitting the jackpot. Of course, they will not replace the scatter symbol which comes in the form of the Sidewinder logo in this game. This sidewinder element can be triggers from the top or bottom reels which drastically increases your chances of winning here. As mentioned, there is also a free spins feature because let’s be honest, what would a slot game be within that chance of a few free spins? This will be triggered by 3 or 4 of the Sidewinder scatter symbols popping up on reels 2, 4 and the horizontal reels. If a wild stops at the same position on both the horizonal reels, they will connect and form a powerful expanding wild. The horizontal reels also perform a generous amount of free spins, whenever a Sindwinder scatter appears on the horizontal reels. This game is undeniably, very similar to Rainbrew. This is shame when the partnership could have performed something that stood alone. That said, with so many ways to win and so lots of exciting free spin features, what is the harm in getting involved? The traditional style format certainly helps provide entertainment here on Easy.